The RIVIERA Glazed +RM+ Oak Door from the LPD Contemporary Oak Door Range has Clear Bevelled Glass. This 6-light door is finished with 15mm solid oak door lippings on an engineered core, to ensure a quality, weighty feel to this Firedoor. Pre-Finished Oak Riviera internal glazed doors are 35mm / 1-3/8" door thickness, in 8 Door sizes - 78x24", 78x27", 78x30", 80x32", 78x33", 2040x626mm, 2040x726mm & 2040x826mm. 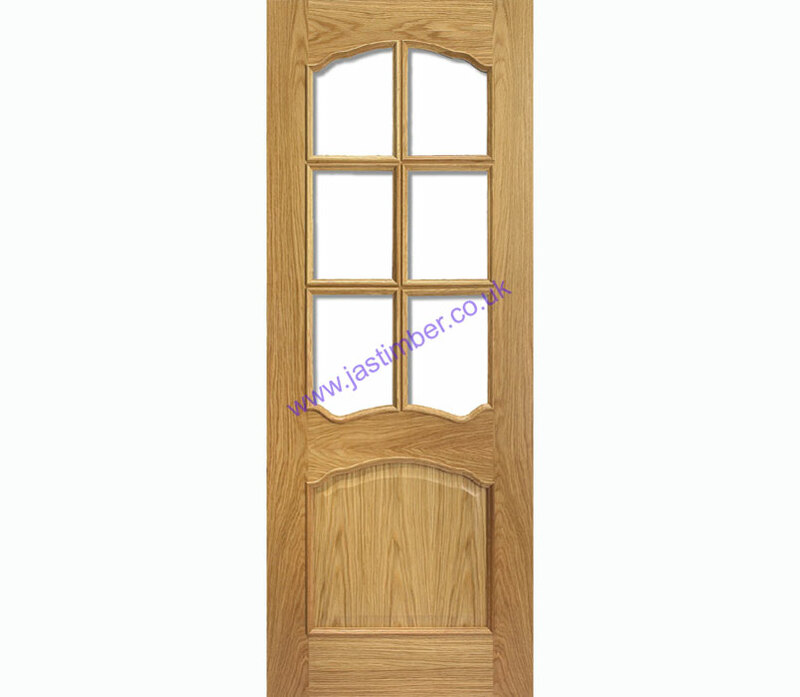 Solid 35mm internal solid pattern doors are also available: RIVIERA internal Oak Doors.